The high-flying career of Christine Lagarde, the head of the International Monetary Fund, hung in the balance Monday. This after a special French court convicted her of negligence for not seeking to block a fraudulent 2008 arbitration award to a politically connected tycoon while she was France's finance minister. The IMF said it expected its board to meet "shortly" to consider the ruling in Paris. After a weeklong trial, France's Court of Justice of the Republic found Lagarde guilty on one count of negligence but spared her jail time and a criminal record. The 60-year-old IMF leader had risked a year of imprisonment and a fine. Douglas Rediker, who represented the United States on the IMF's executive board from 2010 to 2012, predicted that the board would continue to back Lagarde. The IMF's managing director since 2011, Lagarde took over after another French citizen, Dominique Strauss-Kahn, resigned the post amid sexual assault allegations. The IMF board handed Lagarde a second five-year term in July. "She's earned enormous support from the board and the member countries," said Rediker, founder of the Washington consulting firm International Capital Strategies. Rediker added that "she's really done a strong job" cleaning up the IMF after Strauss-Kahn's ouster. Still, the guilty verdict, even without punishment, tarnishes the career of one of the most powerful women in global finance. Lagarde, a lawyer, became France's first female finance minister in 2007, overseeing the country's response to the financial crisis that rocked the global economy from 2008. She is also the first woman to head the IMF. The Court of Justice of the Republic is a special tribunal to hear cases of alleged criminality by ministers in office and is made up, unusually, of three judges and 12 parliamentarians. It ruled that Lagarde's negligence in her management of a long-running arbitration case involving tycoon Bernard Tapie helped open the door for the fraudulent misappropriation of public funds. Lagarde herself was not accused of fraud. The special court's presiding judge, in reading the verdict, said Lagarde should have asked her aides and others for more information about the "shocking arbitration award," which included a tax-free payment of 45 million euros in damages to Tapie, which the court described as fraudulent. Had Lagarde contested the award, an appeal against it might have succeeded and would have strengthened the negotiating position of those who were fighting Tapie's demands for compensation over the sale of his majority stake in Adidas, the court ruled. In deciding not to sentence Lagarde, the court noted that the award to Tapie has since been annulled, sparing damage to the public purse. 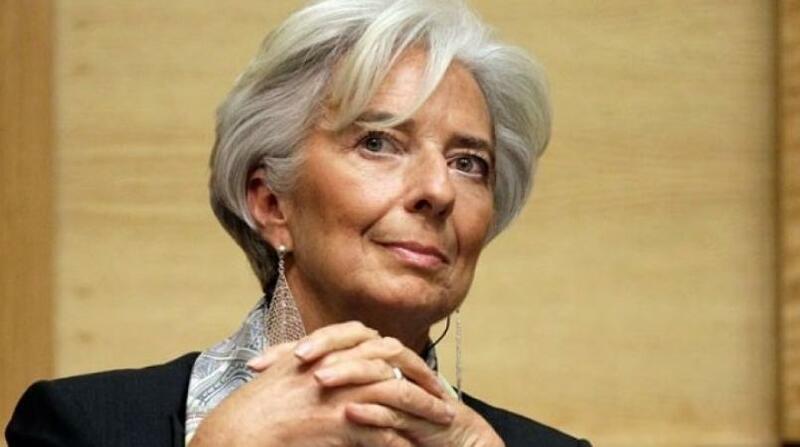 It also noted that Lagarde was busy at the time with the global economic crisis. Lagarde's "personality and national and international reputation" also counted in her favor in the decision not to punish her, the court ruled. Lagarde, who was not present for the verdict, maintained her innocence through the trial. The prosecutor had asked for an acquittal in the case, which began in 2011. Christopher Baker, one of Lagarde's lawyers, wouldn't speculate on any potential effect of the verdict on Lagarde's career. "There is no sentence, which means there's no record of this," he told The Associated Press. "The result of this last five years is nothing, which leaves us in kind of a complicated and strange situation." Baker added that her legal team hasn't decided whether to appeal. The legal battle between Tapie and Credit Lyonnais over the public bank's sale of his Adidas stake was still unresolved when Lagarde took over at the Finance Ministry in 2007. Lagarde ordered that the dispute be settled through a private arbitration panel, instead of regular courts — against the advice of her own services. The massive award raised questions about whether Tapie benefited from his political connections, including with then-President Nicolas Sarkozy, Lagarde's boss when she was his finance minister. In 2013, Tapie, his lawyer, one of the arbitrators and Lagarde's chief of staff at the ministry, Stephane Richard, now the CEO of the telecom company Orange, were charged with gang-related fraud. Lagarde's Paris home was searched by police. However, that case is separate from Lagarde's legal woes.